Though Yuvraj is at the fag end of his career, he will surely add the value to these three teams. Making most of the first trade window, all the eight IPL franchises, on Thursday, announced their list of retained and released players. Apart from expected changes, there were a few surprise moves by some teams, increasing the buzz for upcoming IPL auction, which is set to take place on December 16 and 17. 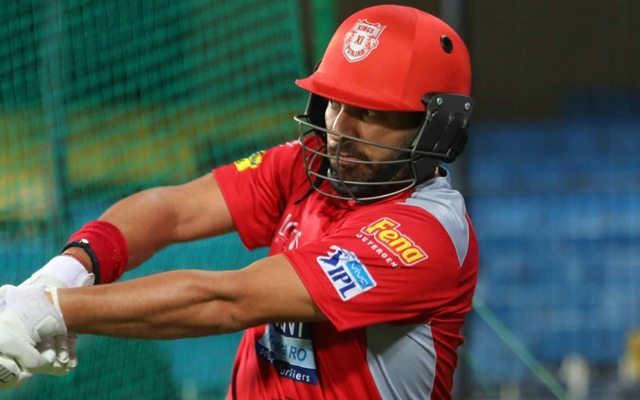 Likewise, Kings XI Punjab also released eleven players including known faces like Yuvraj Singh, Aaron Finch, and Axar Patel. Actress, Preity Zinta owned franchise didn’t have remarkable 2018 season. They ended up last but one in the points table winning 6 matches out of 14. Meanwhile, the all-time most expensive buy of IPL, Yuvraj Singh also didn’t impress in IPL 2018. The southpaw scored mere 65 runs in the eight games at a disastrous average of 10.83. Kings XI Punjab had roped in him at an amount of Rs 2 crores during last year’s auction. There is no denying that Yuvraj might be living his last days of career but the stardom he has been leading could still own him a buyer in the forthcoming auction. However, teams wouldn’t be expecting that similar stroke-play from him but rather see him as an expert batter who can play the part of guiding the innings. Mumbai Indians, the three-time champions of IPL, couldn’t qualify for playoffs last season as they finished fifth in the league round. Rohit Sharma-led side retained most of the squad but also released ten of their players. They now have the purse of 11.15 Crores and can get six Indian and one foreign player in the auction. Mumbai could sign Yuvraj Singh, owing to the lack of experienced players in the middle. With Rohit Sharma at the top and good all-rounders like Kieron Pollard and Hardik Pandya down the order, insertion of the flamboyant left-hander will balance their batting line-up. Moreover, Hardik who injured himself in Asia Cup hasn’t recovered yet, so he will have to be managed during the tournament with the World Cup following the IPL. Yuvraj’s ability to bowl slow left-arm spin can too be handy for Mumbai.